Norma Merrick Sklarek, a pioneer in the field of architecture, was the first registered black female architect in New York. In 1962 she became the first black female licensed architect in California. In 1990 she became the only black woman elected to the American Institute of Architecture (AIA) College of Fellows. Among many prominent designs, her best known projects are Terminal One at Los Angeles International Airport (LAX) and the U. S. Embassy building in Tokyo, Japan. Norma Merrick was born on April 15, 1928 in Harlem to Trinidadian parents. Her father, Dr. Walter Ernest Merrick, was a physician, and her mother, Amy Willoughby, was a seamstress. Norma graduated from Hunter High School and then enrolled in Columbia University’s Barnard College. She transferred to Columbia’s architecture school in 1945 and graduated in 1950 with a bachelor’s degree in architecture. Unable to find a position with an architecture firm, she went to work for the New York Department of Public Works. In 1954 she passed the grueling four-day New York licensing exam, becoming one of the first African American women to be a licensed architect in the U.S. In 1955 she was offered a position with the prestigious architectural firm of Skidmore, Owings & Merrill. She stayed there for five years, also serving on the architecture faculty at New York City College. From 1960 to 1980 she was director of architecture at Gruen Associates in Los Angeles, passing her California license in 1962, the first black woman to do so. In 1967 she married fellow Gruen architect Rolf Sklarek. 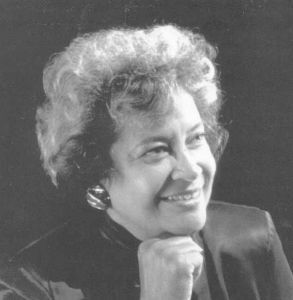 In 1966 she became the first female African American member of the American Institute of Architects, and in 1980 she became the organization’s first black woman to be elected into its College of Fellows. She also served on the architecture faculty at University of California Los Angeles (UCLA) from 1972 to 1978. In 1980 she joined the Los Angeles firm of Welton Becket where she was project director for the $50 million domestic passenger terminal at Los Angeles’ LAX (the expansion timed to accommodate travelers to the 1984 Summer Olympics). In 1984 her husband Rolf passed away. The following year she married her third husband, Dr. Cornelius Welch, a physician. Also in 1985 she partnered with Margot Siegel to form the firm of Siegel, Sklarek, Diamond. Four years later she became a principal at Jerde Partnership, retiring in 1991. Her major projects include the $50-million domestic passenger terminal the Downtown Plaza in Sacramento; the all glass Pacific Design Center, Los Angeles; the Queens Fashion Mall, in Queens, New York; the Fox Plaza in San Francisco; the Wilshire La Brea Metro Rail station, and the Los Angeles campus of the Fashion Institute of Design and Merchandizing. In 2008 Sklarek received the AIA’s Whitney M. Young Jr. Award honoring her as a pioneer in the profession. The Young award goes to a person or organization that stands out as a positive force of change. Howard University also awards an architectural scholarship in her name. Sklarek died of heart failure in Pacific Palisades, California on February 6, 2012. Angela Black, "Sklarek, Norma Merrick", African American National Biography (New York: Oxford UP, 2008); “Conversation: Norma Sklarek, FAIA” interview, Architecture (California) 71:1 (1985); “Women In Corporate Firms: the top positions in large offices aren't just for men anymore” interview, Architecture (Washington, D. C.), 80:10 (Oct 1991); http://articles.latimes.com/2012/feb/10/local/la-me-norma-sklarek-20120210; to hear an audio interview with Norma Merrick Sklarek: American Institute of Architects, “YAF 150 at 150: Norma Sklarek, FAIA,” http://www.aia.org/akr/Resources/Audio/AIAP037892?dvid=&recspec=AIAP037892.